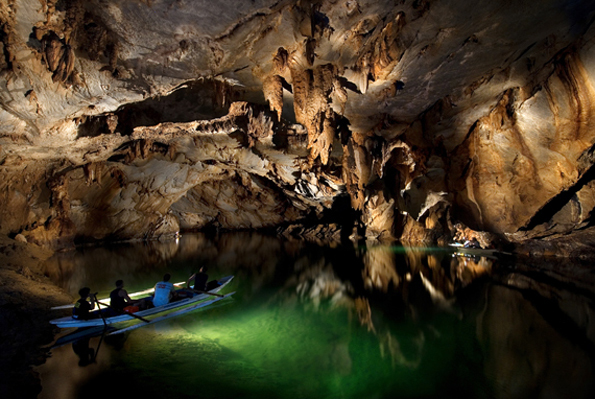 The Philippines and Palawan's very own Puerto Princesa Underground River has made it to the list of the provisional winners of the search for the new 7 wonders of nature. Rounding up the 7 are South America’s Amazon River, Vietnman’s Halong Bay, Argentina’s Iguazu Fallas, South Korea’s Jeju Island, Indonesia’s Komodo Island and South Africa’s Table Mountain. The organizers of the said global poll is now in the process of validating and independently verifying the voting calculation. The Final results will be announced early 2012 so it is still possible that there will be changes.